It is just over a 2 hour trip on a high speed ferry from Tokyo to Oshima Island, the largest island on the chain of Izu Islands. 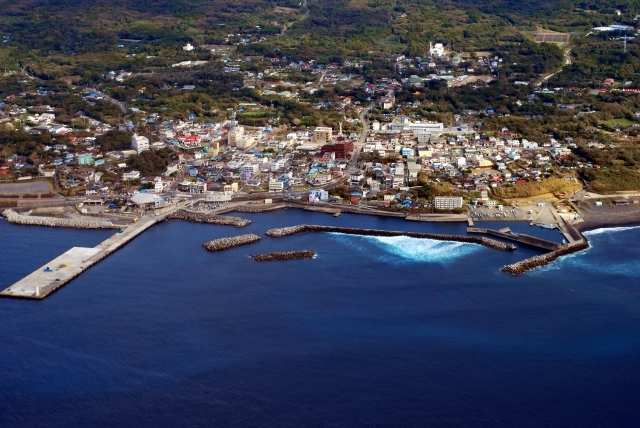 Oshima Island is part of the Fuji-Hakone-Izu National Park, and it is a popular destination for Tokyo residents. 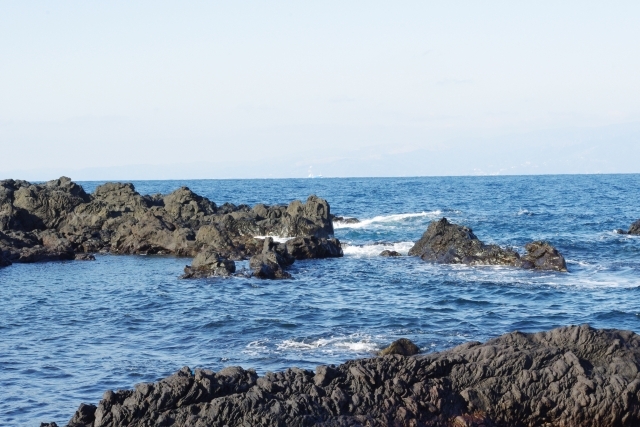 Oshima offers visitors a variety of activities such as golf, cycling, swimming as well as various things to see such as waterfalls, shrines, beaches, and Mount Mihara. 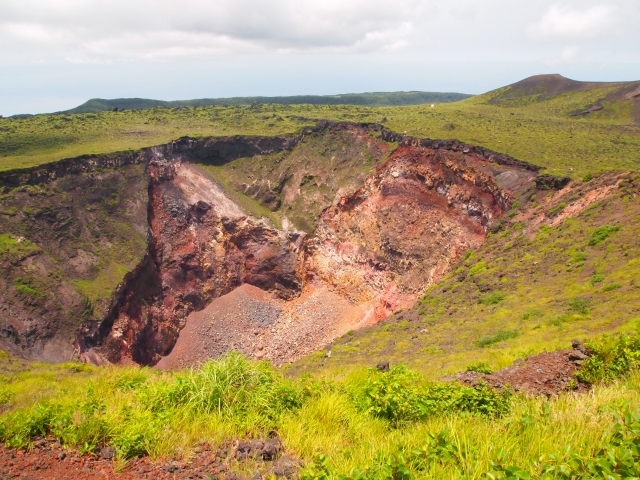 This is an active volcano which erupted in 1986 and forced the evacuation of the entire island. It is best to avoid going to Oshima Island during the summer weekends and national holidays as it can get very crowded. Welcome to the Hotel Akamon. 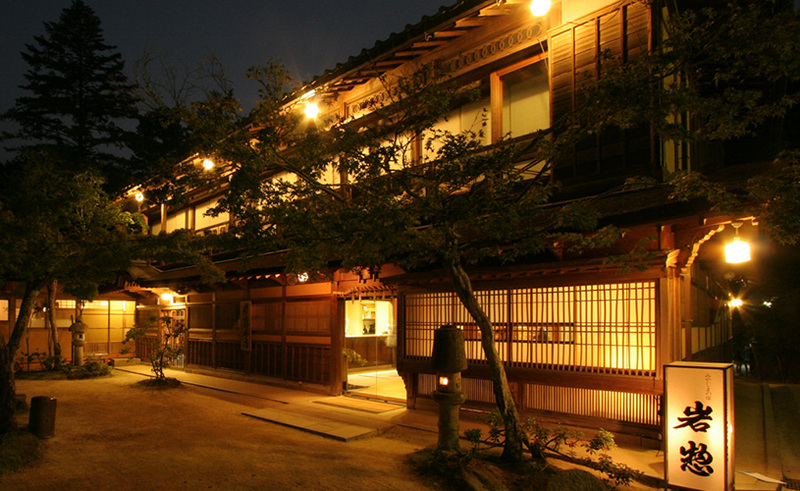 This is a Standard Ryokan located on Oshima Island. 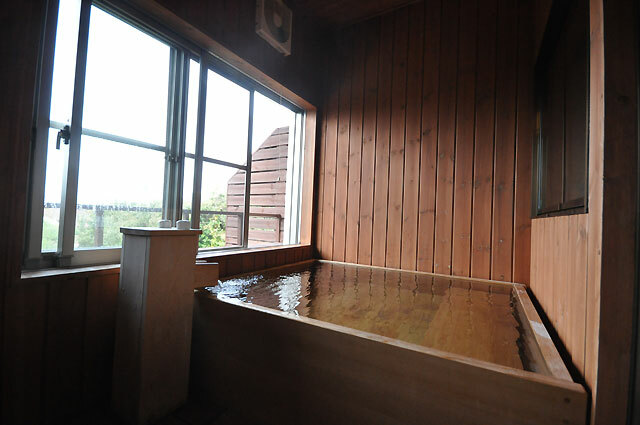 There are 18 Japanese-style rooms at the Hotel Akamon, and there are outdoor hot spring baths for both women and men (same gender only). The Hotel Akamon has a very large Japanese garden for the guests to enjoy, too. Traditional Japanese cuisine is served with freshly caught seafood. Check-in time is after 15:00 and check-out time is before 10:00 am. A pick-up service is available (must reserve in advance). Welcome to the Oshima Onsen Hotel. This Modern Ryokan has 43 Japanese-style rooms, and 33 rooms have their own private bath. 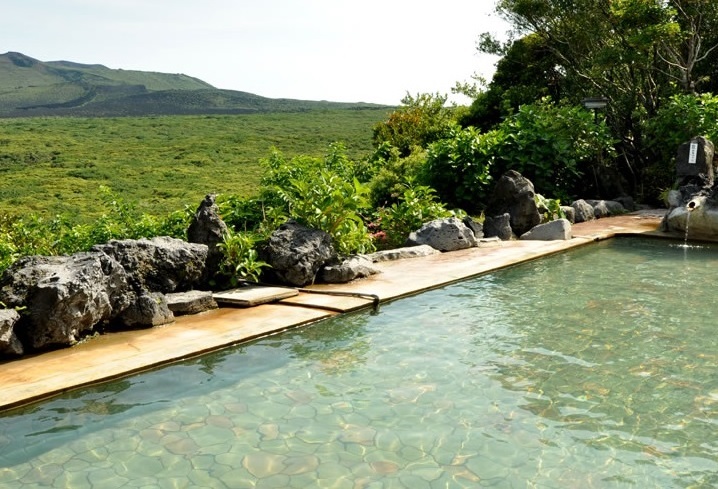 The Oshima Onsen Hotel has 2 large hot spring baths for both women and men (same gender only), and there is also an outdoor hot spring bath with a great view of the island (same gender only). Check-in time is from 15:00 and check-out time is before 10:00 am.